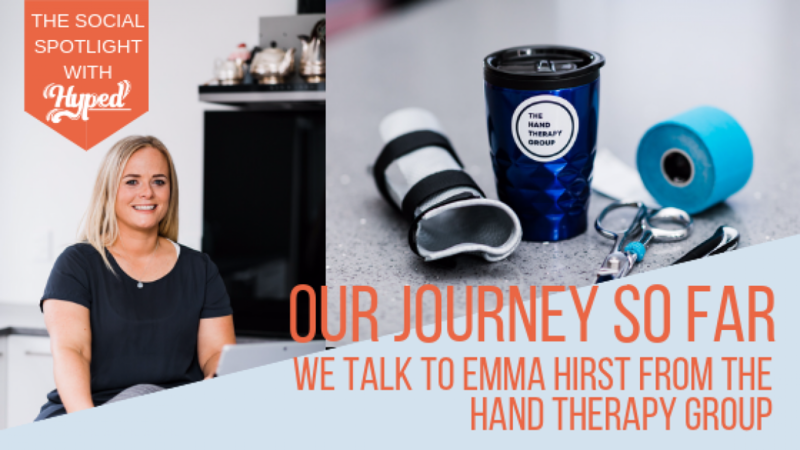 This month we are lucky enough to have a guest blog from Emma Hirst from The Hand Therapy Group here in Auckland, who are doing amazing things on social media, despite being in an industry where businesses are mostly avoiding the platform! 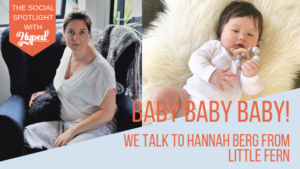 In the early days of planning our start-up company, The Hand Therapy Group, we looked into the traditional ways of advertising and getting our brand out there. After investigating the old school advertising methods, I was shocked at the cost! And how did you know how many people were seeing the ads and if any bookings came from them? There must be another way. 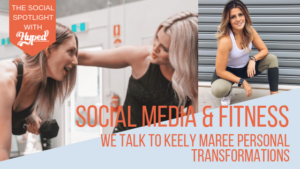 I had zero experiences with social media for business and wondered if it would even be effective for my target audience. But when I considered Facebook has 2.27 billion monthly active users and Instagram has 1 million, it seemed like a no-brainer to me. Current stats also show that people spend a whopping 2 hours and 15 minutes per day on social media! And because the bulk of social media usage is free, even for business, it seemed crazy not to jump on the bandwagon. Hand Therapy isn’t huge in the social media game yet. This might be slightly untrue for overseas companies, but I couldn’t find another New Zealand based Hand Therapy company on Instagram. There were a few on Facebook, but no pages that stood out or really engaged with their followers and vice versa. I had a chat with the lovely Sonia Nepe of closer, a Brand & Web designer based in Auckland. Sonia was in the midst of creating our brand, promo material, and website and knew a fair bit about social media. After a pep talk, I started our Instagram page. It did, however, remain blank for a few days until I built up the courage to write that first post. We had some high-quality images from a business branding shoot, which I used to get the ball rolling. But I still wasn’t sure how to gain genuine followers outside of the initial group of friends and family. 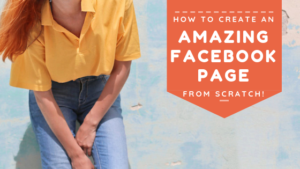 Sonia introduced me to a Facebook group which helped me massively with trainings and webinars on how to improve at social media. 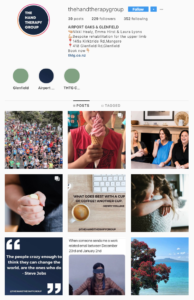 I found the Instagram tips and tricks invaluable in understanding social media and slowly building followers that actually cared about our brand. We had a big jump in followers once I took the advice on board with slow but steady increases each week. One of the main things I learnt about were the importance of hashtags. I now have a rotating list of 180 hashtags (30 per post) that I am constantly reviewing and adding to. 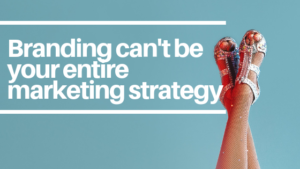 I have looked at every single one of those hashtags to ensure it is relevant in attracting our ideal customer. Social media is time consuming for an amateur! 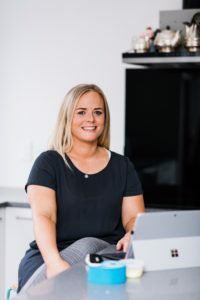 Alongside my two business partners Nikki Healy and Laura Lyons, I attended an 8-week business course for Mums – The Secret Coffee Group, run by Jen Jones. During this time we learnt about starting and running a business including idea generation, branding, finance, marketing, scaling and goals. One of the most valuable sessions we attended was on social media. Jen talked us through the differences between Instagram and Facebook. The newsfeed in both platforms prioritise posts with high engagement so it is important to like, comment on and share posts. And it is called ‘Social’ media for a reason – stay social! Humanise your brand and show your personality. This creates trust and allows people to relate to you. Jen was also big on podcasts which I had never really gotten into. In fact much to her horror, I had moved the podcast app on my phone to a folder labeled “boring stuff”. Now my commute through the Auckland traffic is spent listening to the likes of The Gary Vee Experience, the Foundr podcast or Masters of Scale. Our social media following is still modest on both platforms but is building and growing constantly. I set a goal of 200 followers by the time we opened our doors. A week out from the self-imposed deadline we have 400 followers. We have a current average engagement rate of 30% which is awesome. Social media is an ever-changing game and can seem hard to keep up with. I keep it simple and stick with the following rules. Have a rotating list of 30 hashtags to use for every post and 10 hashtags to use for every story. The story hashtags can be hidden! But only use hashtags on Instagram, never Facebook. Make sure your content is valuable for your followers. Quality over quantity every time. Engage with your followers. Respond to direct messages and comments on your post. Keep your content fresh, relevant and interesting.